It’s hard to believe that this excellent brand Boreas has only been around since 2010; the products certainly give the impression that there’s more than a mere five years of experience in design and development behind them. And Tae Kim is to thank, the founder of Boreas, the man who collected all his know-how from his time as Design Director at The North Face and invested it all in this young brand in the heart of San Francisco. 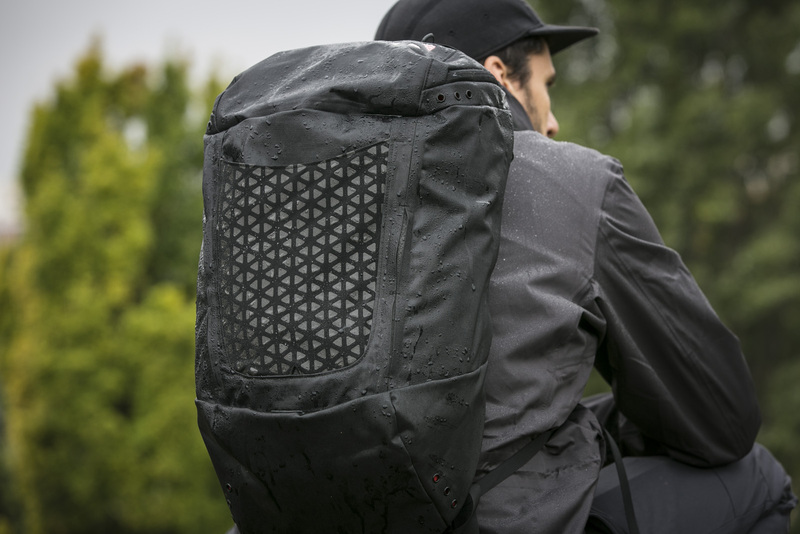 At first glance, the Echo appears to be just a nicely-designed backpack. Then you start to notice some interesting details. 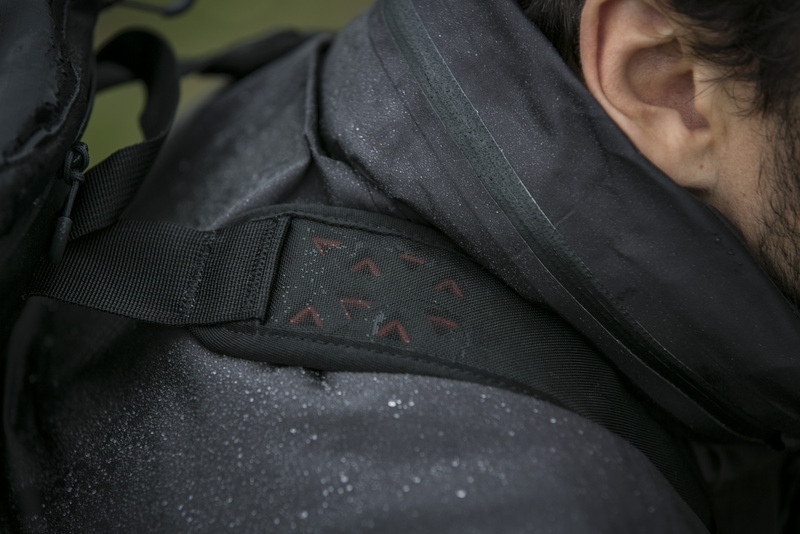 But its not just the details that set the Echo apart from other backpacks. 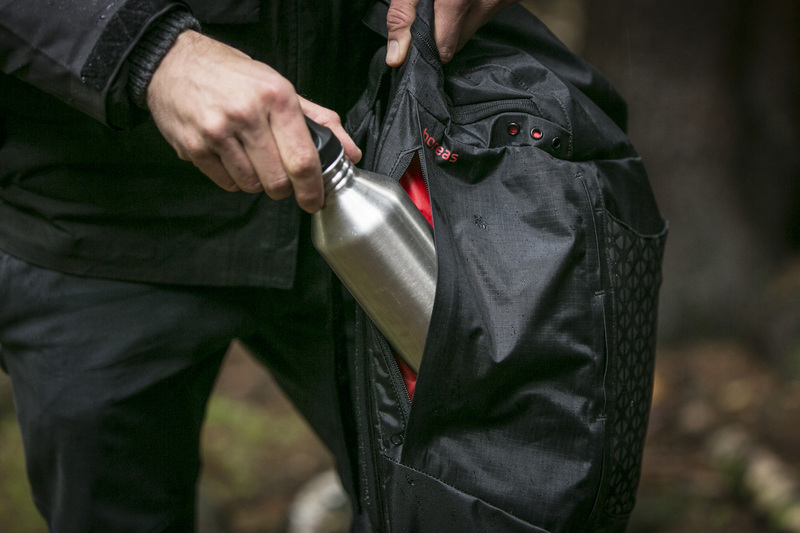 It’s that the Echo incorporates a dry bag that will keep the contents 100% clean and dry. 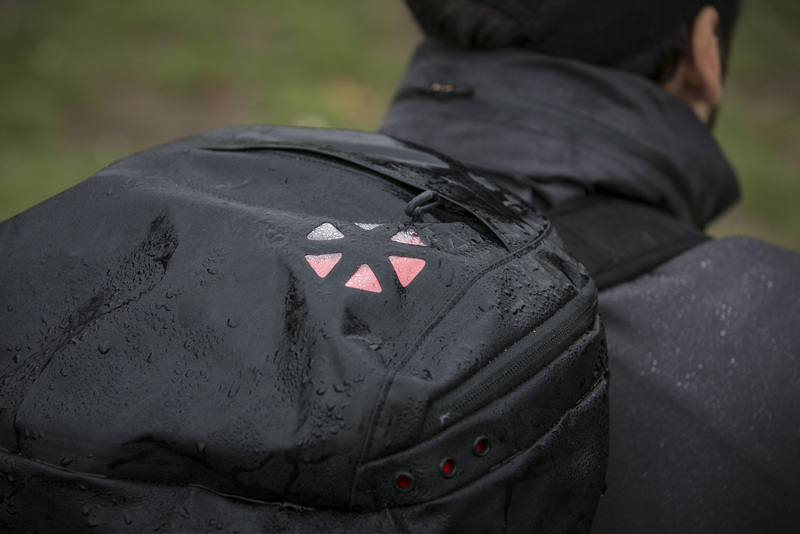 The Echo is part of the Waterproof Series. 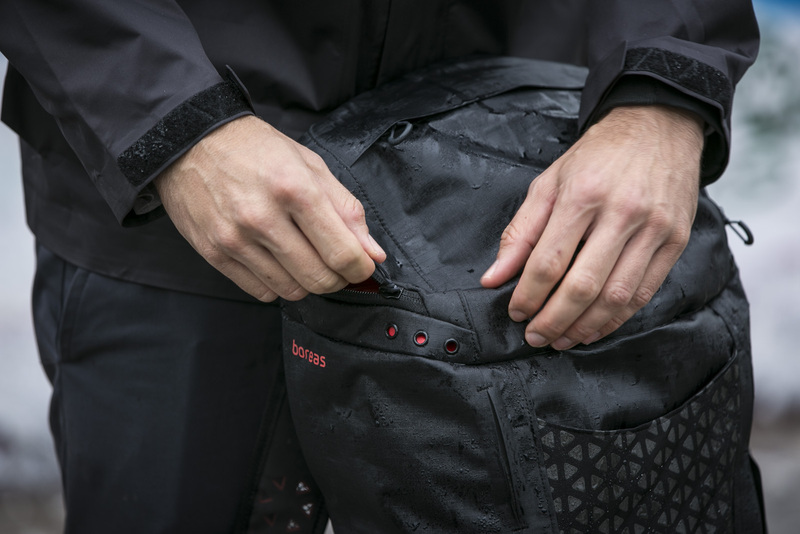 But Boreas has also built in pockets that aren’t waterproof, for example the pocket on the outside of the front of the backpack which has a small opening on the bottom. Why? For storing clothing and items that may have already gotten wet. 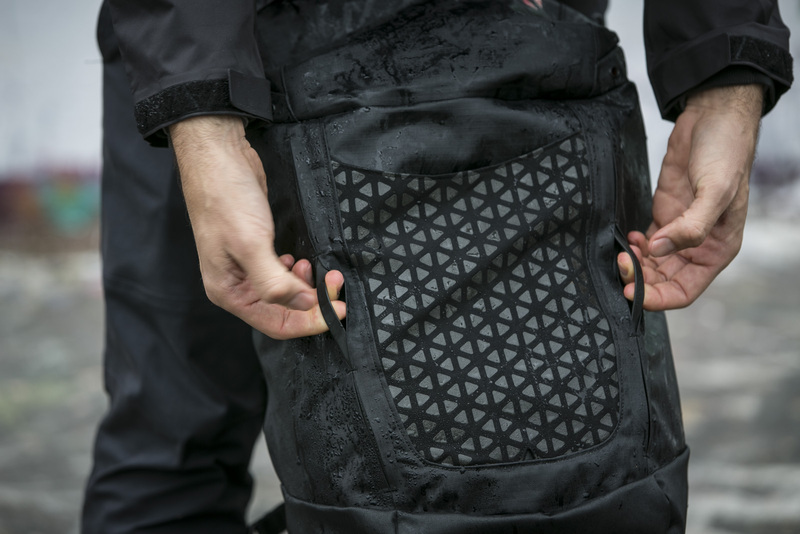 Also, on the left and right sides of the backpack are long, zippered pockets that are also not 100% waterproof, each with small drainage holes on the bottom for any water that should get in. 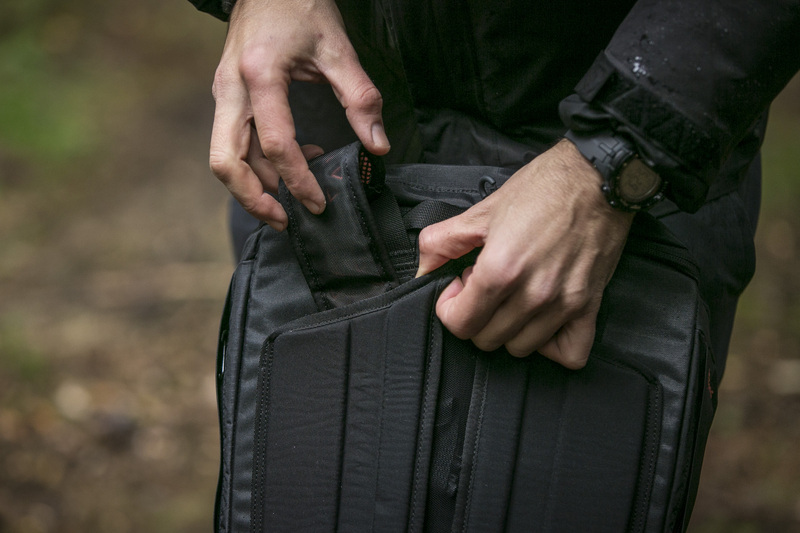 Which makes these pockets also appropriate for storing any wet equipment. So it’s important to note that it wasn’t the intention of Boreas to make the whole backpack waterproof, and they do warn that the bag is not for diving nor submersible. But exactly that is one of the draws of the Echo. 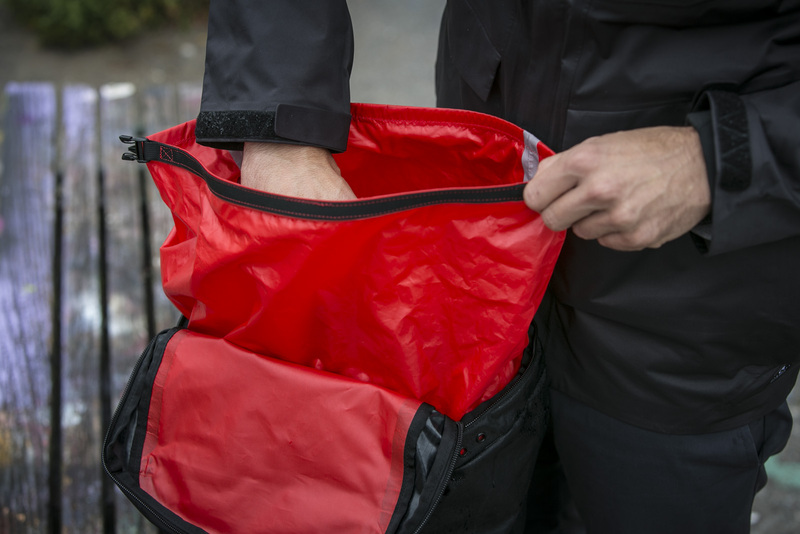 It’s a successful blend of dry bag and day bag, suitable for whatever kind of trip you are planning. 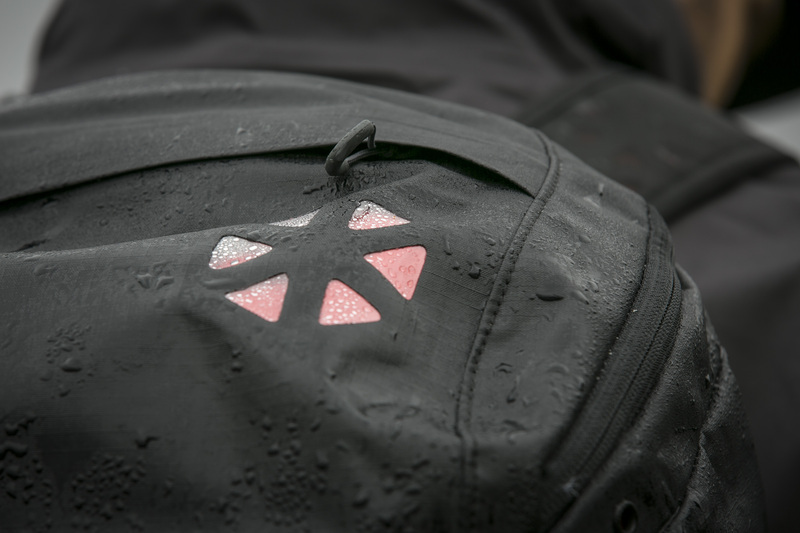 Another nice detail is the transparent Boreas Logo on the waterproof hood. 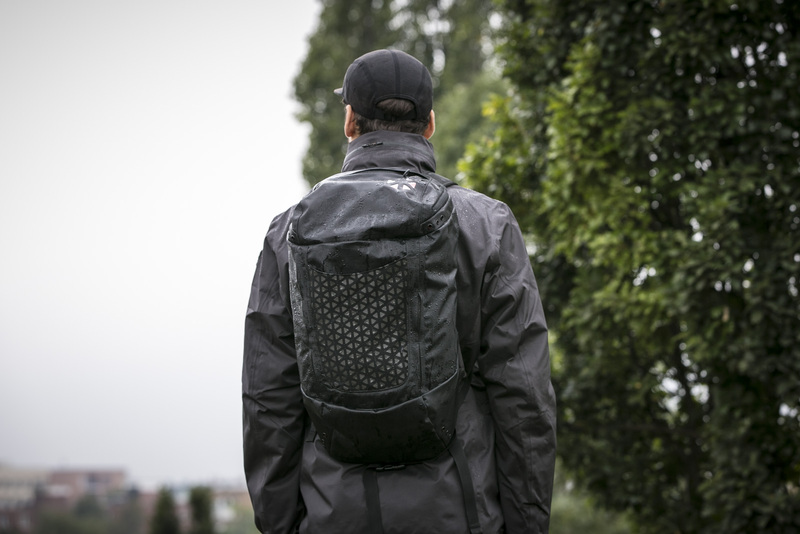 As already mentioned, the heart of the Echo is the dry bag sewn into the backpack, which is accessed through the hood opening and includes a inside pocket for smaller objects or a tablet. 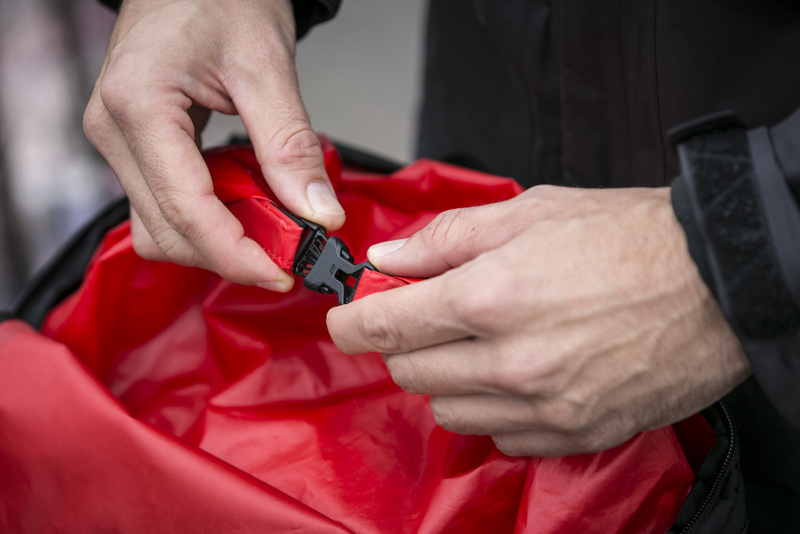 The dry pack can be sealed like classic dry packs, by rolling up the end and securing with the plastic buckles, and is, naturally, 100% waterproof. The shoulder straps and the padding for the back are very minimal, but surprisingly comfortable even when the bag is heavily packed. 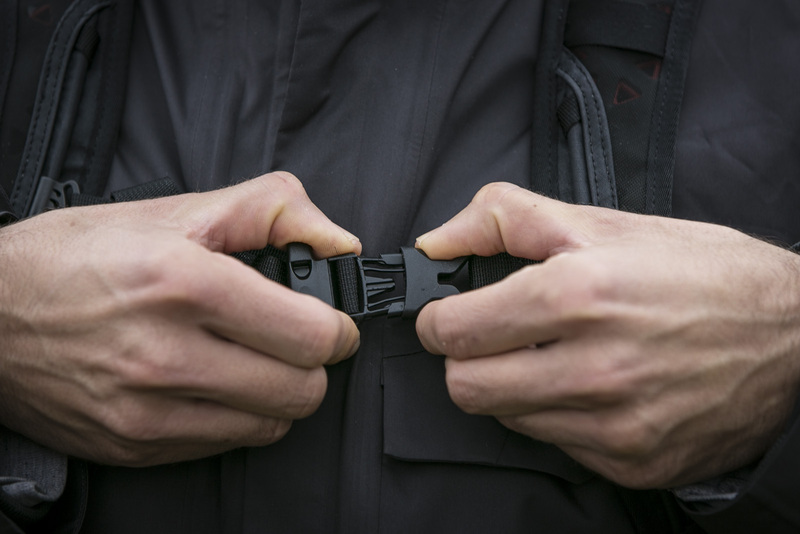 The shoulder straps and the waist straps can also be stored away in the area between the backpack and the padding, which is a great idea. 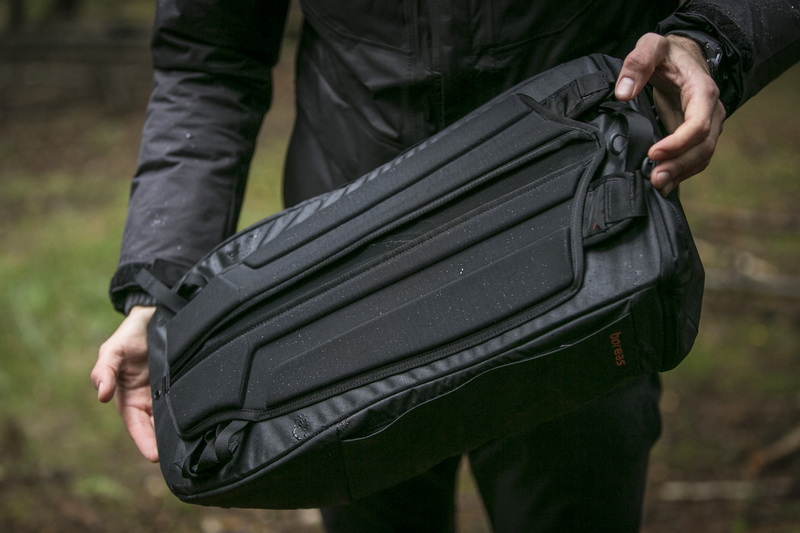 In this way, the Echo Lava can be converted from a backpack to a regular bag, or vice versa. It’s a cool feature. 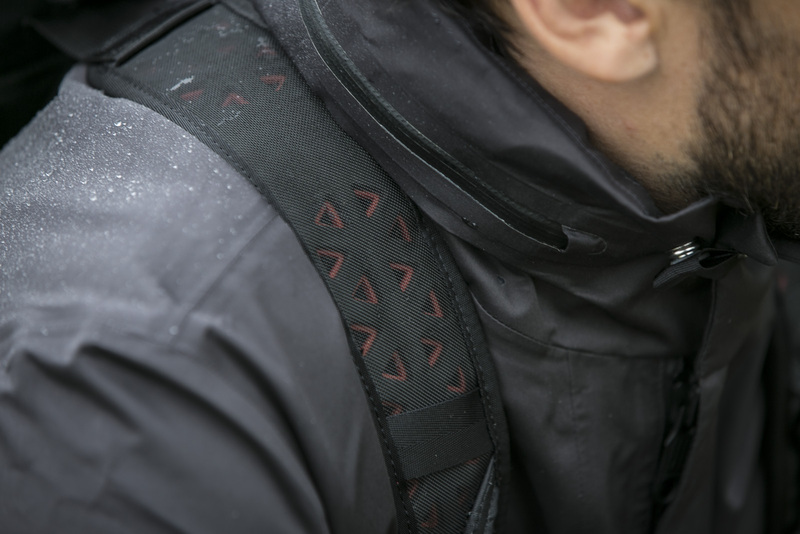 Lastly, along the front pocket are six half-hidden straps which can be used for attaching equipment to the outside of the backpack. 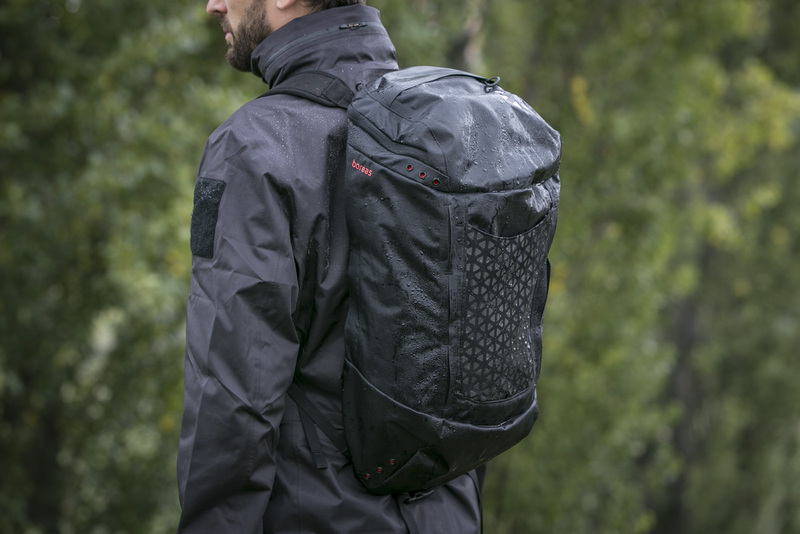 Conclusion: With the Echo, Boreas shows us that a waterproof day pack doesn’t have to look like a waterproof day pack. The Echo combines design and functionality without having to sacrifice the comfort for the user. 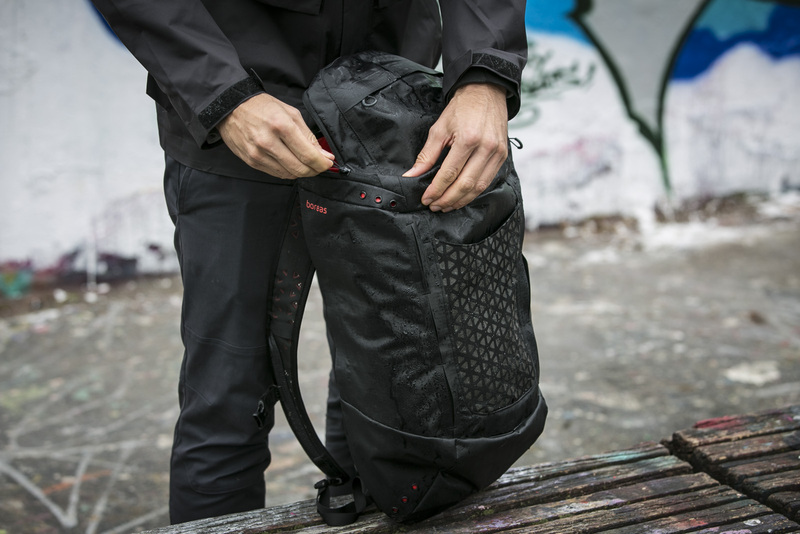 The workmanship is of very high quality, and the backpack weighs in at only 820g. 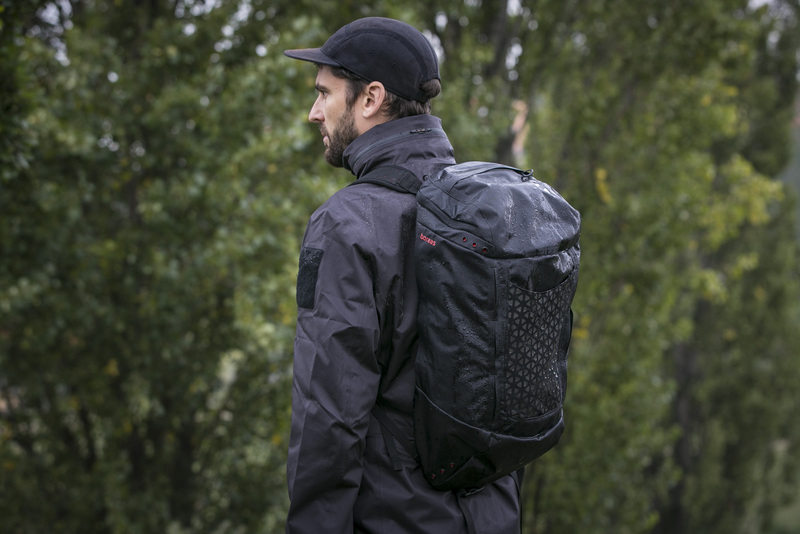 With the Echo, Boreas has created a truly intelligent day pack that impresses with its beautiful details and is incredibly versatile. Whether on a sunny hike or a rainy kayaking adventure, the Echo is a trustworthy companion that adapts to your needs.